The main objective of the PhD program in Nuclear Engineering is to prepare graduates for a career that includes research and/or teaching in academia or industry, as well as for leadership positions that require problem solving skills with highly specialized knowledge, often in interdisciplinary fields, and the management of finances, projects and people. Graduates of the program will be able to work in research labs in both industry and government or as academics in universities. PhD students will obtain their degree through a combination of advanced course work, independent research, research seminars, mandatory workshops, research publication and a research dissertation. 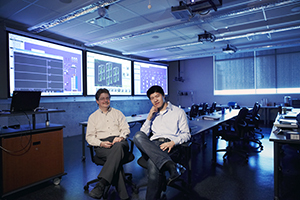 Completion of a Master of Applied Science (MASc) level degree in engineering from a Canadian university, or its equivalent from a recognized institution. A minimum B+ average (GPA: 3.3 on a 4.3 scale or 77 to 79 per cent). See the checklist of required documents for a list of supporting documentation that must be submitted with your application. Prior to being accepted into the program, PhD applicants must be accepted by a professor who specializes in the applicant’s desired area of research and is willing to act as a supervisor.